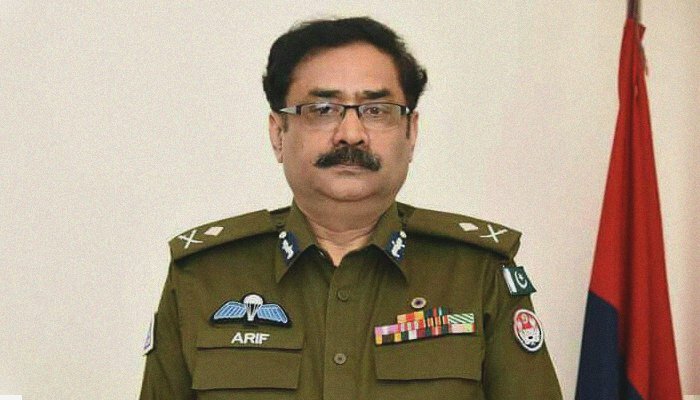 LAHORE: Punjab Inspector General Police Capt (retd) Arif Nawaz Khan, while urging the masses to stop filing baseless FIRs said that “registration of FIR on false and baseless statement damages merit-based investigation”. He was addressing a police Darbar at Police Lines, Bahawalpur, on Friday. He said 8787 complaint centre received 58,000 applications, out of which 25 per cent of them were total lies and other 25 per cent were partial lies. He said that police force could not get due respect among commoners despite the fact that 1400 personnel of Punjab police lost their lives in fighting crime and terror. However, he said he has deduced this from the complaints he received from people concerning the staff at police station unfair attitude towards the public. Police will be provided with better equipment and better facilities; moreover, and action will be taken against inchrages, whose negligence causes life loss of police personnel, he said. He said that cut was made in risk allowance of the police force, but when he assumed the charge of IGP, he took up the issue with the chief minister. “I am thankful to Chief Minister Shehbaz Sharif that on my request, he agreed to restore the risk allowance,” he said. Police personnel would receive risk allowance along with arrears in the salary they would receive on October 1, he added. He said that Bahawalpur police would soon receive the olive colour uniform. He said that police department would have to avail technology in investigation instead of continuing manual way of investigation. Earlier, delivering his welcome speech, Bahawalpur Range DIG Raja Riffat Mukhtar thanked Punjab IGP for ensuring restoration of risk allowance of the police force. He said that sitting IGP Punjab had been giving special attention to resolve financial problems of the police force. He said that Bahawalpur police would fulfill the vision of IGP Punjab by using all available resources. Later, IGP distributed certificates and prizes among police officials. Bahawalpur DPO Dr Muhammad Akhtar Abbas, Bahawalnagar DPO Capt (retd) Malik Liaquat Ali and Rahimyar Khan DPO Zeeshan Asghar and Directorate of Public Relations Regional Director Rana Ajaz Mahmood were also present on the occasion.